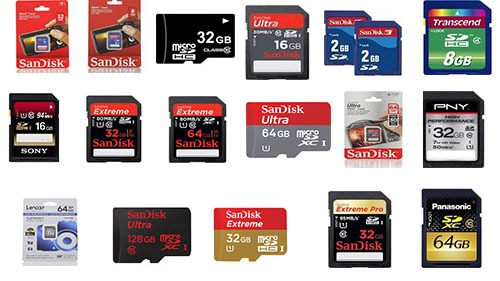 Have you accidently lost data from memory card? Don't worry! This article will talk about memory card recovery and how to do card file recovery with card recovery freeware. IUWEshare SD Memory Card Recovery Wizard(Win/Mac) is the leading photo recovery software for memory card used by digital camera or phone. It can effectively recover lost, deleted, corrupted or formatted photos and video files from various memory cards. It supports almost all memory card types including Secure Digital Card, Compact Flash Card, xD Picture Card, Memory Stick, Micro Drive, SmartMedia Card, MultiMedia Card, MicroSD Card, MiniSD Card, SDHC, etc. Step 1. Select the card or the drive you want to recover data from and hit "Scan" button to continue. Tip: Never use your memory card once you found you have lost important data or your memory card are not accessible to you. Why? Inside photos being overwritten could technicially delete your data forever. So do not use your card again before using IUWEshare SD Memory Card Recovery Wizard(Win/Mac) to get data restored.